At the start of a new year I always feel so motivated. I write out my goals for the year and I want to get straight into action and start achieving them. Then January seems to drag on and on and that motivation starts ebbing away. Working from home is brilliant but it is also really difficult when the weather is cold and all you feel like doing is curling up on the sofa. 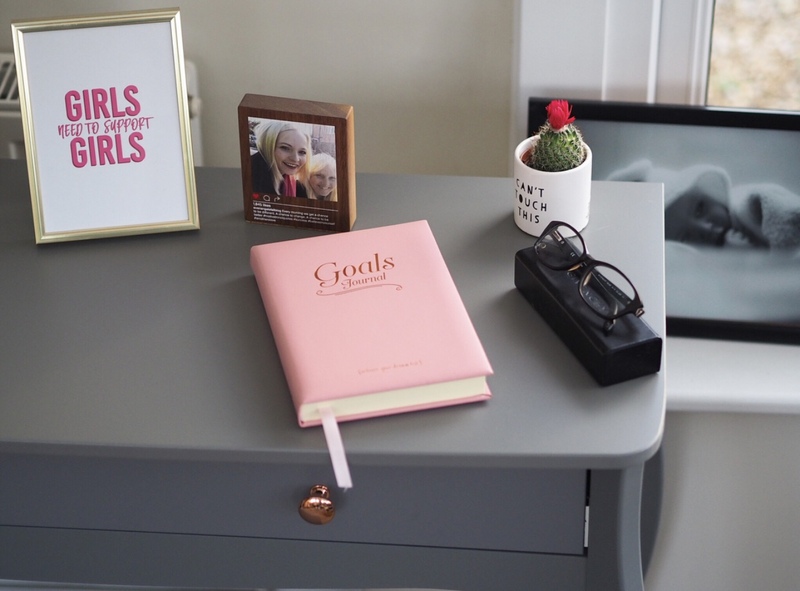 Recently I was sent a new dressing table from the people at Beautify, and since putting it up in our conservatory as a desk, I have felt ready to crack on with my goals. The dressing table is a gorgeous shade of grey. I was a little unsure about the colour until it was up but it really suits our white conservatory, and I love how different the colour is from traditional desks that I have seen. The rose gold handles on the drawer perfectly compliment the darkness of the table, and I really like how it looks in the room. Made from MDF wood, the dressing table is strong and durable, with a lovely deep drawer that’s ideal for filing away important documents and stationery as well as all those props that are part and parcel of being a blogger. I must admit, I couldn’t work out how to assemble the flat pack desk myself and instead got Ed to do it. It didn’t take him too long and all the screws and parts required were there along with detailed instructions with handy diagrams. The matching stool is really comfortable, great for sitting and getting work done. I’ve also found it really useful for blog photography as it is the perfect height for me to sit on to photograph flatlays on the floor in front of me without hurting my back. Although sturdy and well built, the stool is very lightweight, meaning I can move it around when I need to. The desk is priced at £64.99 and the matching stool £34.99, and both are available from the Beautify website. I was gifted the dressing table and stool, however all opinions and images are my own. The Great Baby Boom of 2017 – Am I Finished Having Babies?